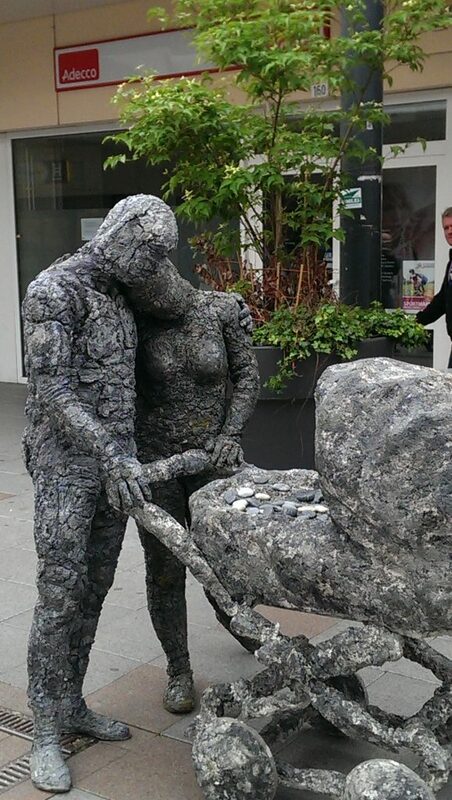 Two lovers –made of stone- stroll the streets with their baby carriage full of pebbles. They lovingly cherish their little ones and share them proudly with the public. The little baby stones contain handwritten compliments such as: “You Rock” and “You Are Awesome”. Terra’s Pride is a heartwarming act full of joyous emotion. Terra’s Pride is a walking act and therefore not bound to a pre-defined playground. The standard text on the little stone is: You Rock! Under certain conditions, it is possible to choose a text that matches your event. Some examples are: Every milestone is a step forward! A rock-ing new year!